As the performance arm of Tektro, Tektro Racing Products (TRP) has been steadily growing its reputation for producing bulletproof brakes that don’t cost the earth. 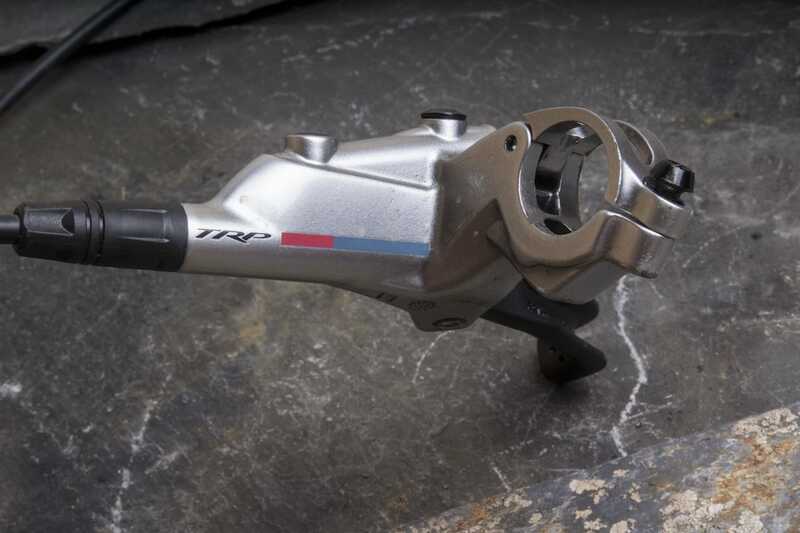 Best known in the world of cyclocross, TRP has started to receive recognition for its mountain bike disc brake systems too. This has admittedly been a tricky segment to crack for most, given that just two brands dominate the market, but TRP knows its strengths. 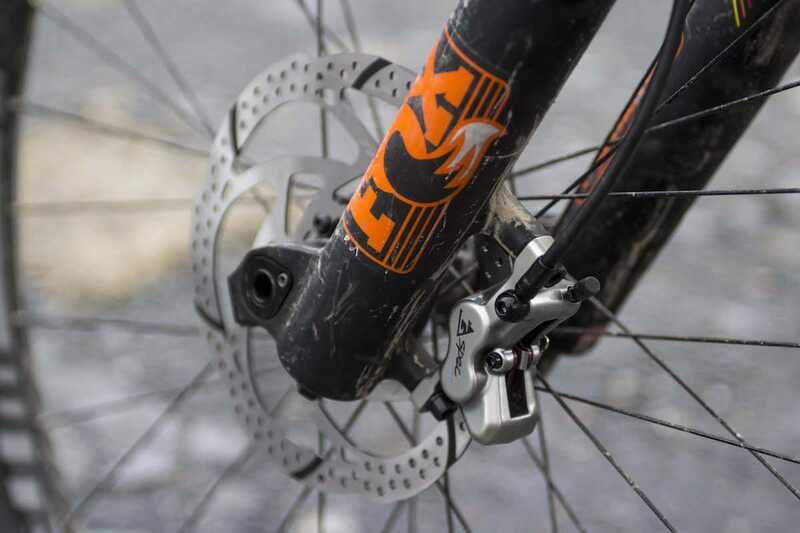 Because more so than any other type of cyclist, mountain bikers demand reliability and value for money – two aspects that are vital to a brake’s commercial success. At this point in time, TRP is offering just two hydraulic disc brake models: the Quadiem Downhill/Enduro brake, and the Slate XC/Trail brake. The Slate has been available for a couple of years now, having previously been offered in both T2 and T4 versions, with the number referring to the use of a twin or quad-piston calliper. 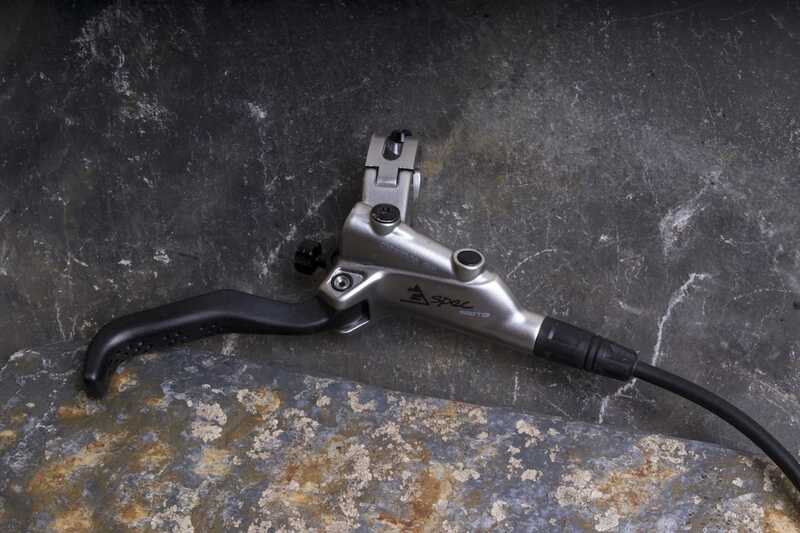 You may recall that Jenn reviewed one of the first sets of TRP Slate T4 brakes back in Issue #99 of Singletrack Magazine, where she praised the Slate’s value, control, and no-nonsense setup. 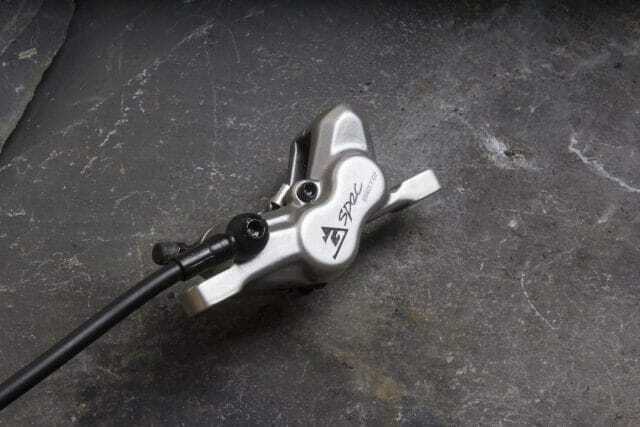 The G-Spec version of the TRP Slate T4 brake was released in April of this year. Power is delivered via a slim quad-piston calliper. What we’ve got here then is the shiny G-Spec version of the Slate T4. 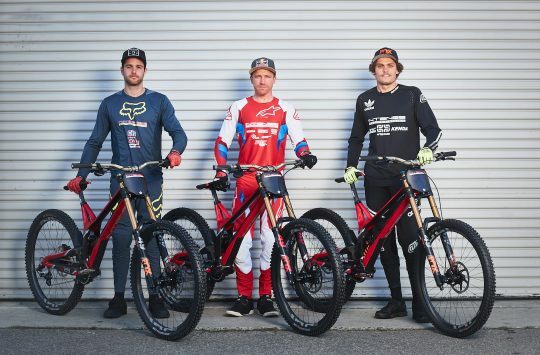 Released back in April of this year alongside the new G-Spec Quadiem brake, the term ‘G-Spec’ refers to TRP’s current sponsored athlete Aaron Gwin – a person who travels down mountains very quickly on a bicycle. He also has a habit of winning races too, and that’s been thoroughly beneficial for TRP in getting its name in front of more rider’s eyeballs. 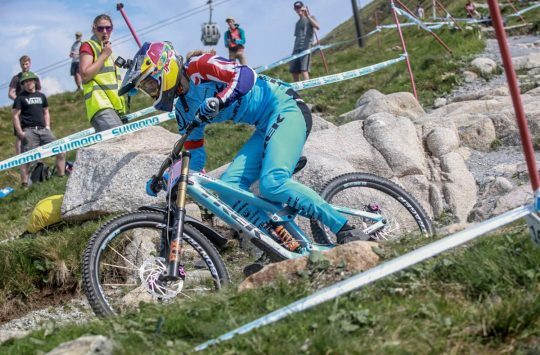 Gwin races with the G-Spec Quadiem, which is also a quad-piston brake, but one that uses much bigger callipers, bigger pistons, and chunkier levers with a bigger oil reservoir to deliver more power under the scorching hot conditions of a World Cup downhill course. 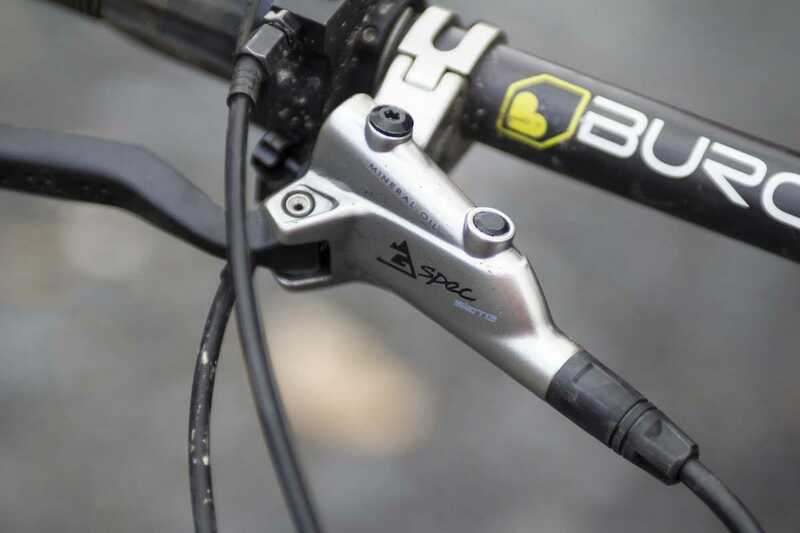 In comparison, the Slate is a lighter, more streamlined brake that’s designed for trail riding, as oppose to full-blown downhill racing. It isn’t claiming to be the most powerful brake in the world, but rather one that offers more modulation and control for those who aren’t quite travelling at Gwinning speeds (sorry, had to). Sleek design is complemented by the discreet silver-painted finish. The hinged clamp and 4mm hex bolt makes installation simple. Functionally, the G-Spec Slate shares much in common with the standard version of the Slate T4. 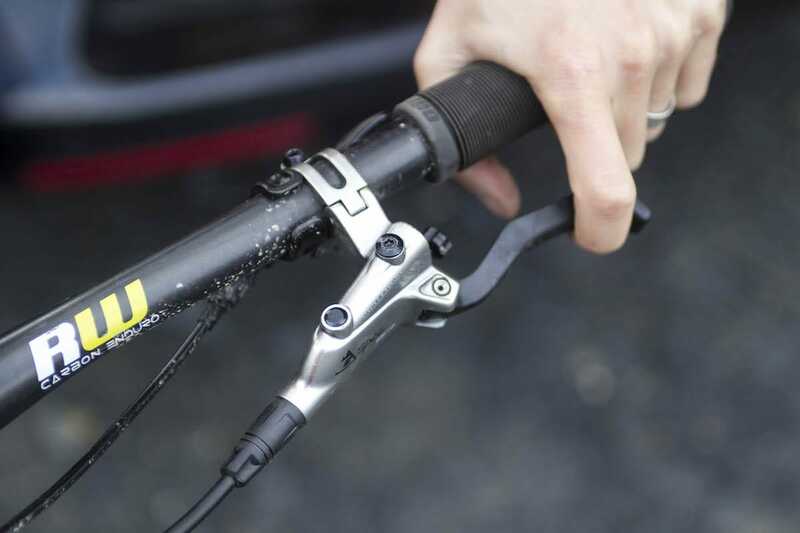 Both run mineral oil, both feature the same quad-piston callipers, and both utilise the same slim lever bodies, which bear a striking resemblance to the in-line master cylinder profile of a Shimano Saint or XT brake lever. 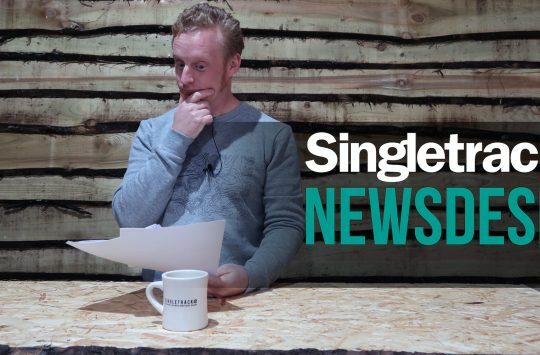 Where the standard Slate requires an allen key however, the G-Spec Slate gets a tool-free reach adjuster, which is easy to use with indexed detent points that clicks nicely as it’s adjusted. The adjustment dial does protrude out quite far though, and while we didn’t experience any fit issues with most shifter and dropper post levers, we did with the Pinion rotary shifter on the Zerode Taniwha. Because of contact between the adjuster dial and the shifter, we had to run the levers further inboard than we would have liked. The G-Spec version comes with a tool-free reach adjuster. It poked out enough to cause interference with the Pinion rotary shifter on the Zerode Taniwha. That isn’t too much of an issue with the G-Spec Slates, as the lever blade is rather long. Measuring 87mm from the tip of the lever to the pivot point, it’s about 10mm longer than levers on the Shimano Zee brakes. It’s also quite thick and blunt in its profile – I measured the lever thickness at 15.3mm, which puts it almost 2mm taller than the Zees. That doesn’t sound like a whole lot, but when we’re talking about ergonomics and the sensitivity of your fingers, it’s noticeable. Being the G-Spec model, the alloy lever blade has been dimpled for a little extra finger texture. The hinged clamp design has also been updated, and the G-Spec Slate is now compatible with Shimano’s latest I-Spec B and I-Spec II shifter mounts, so you can bolt the shifter straight onto the brake clamp. MatchMaker X adapters are available as well for bolting on a SRAM shifter. As our brakes came directly from TRP in the US, we did need to swap the hoses from left to right out of the box. 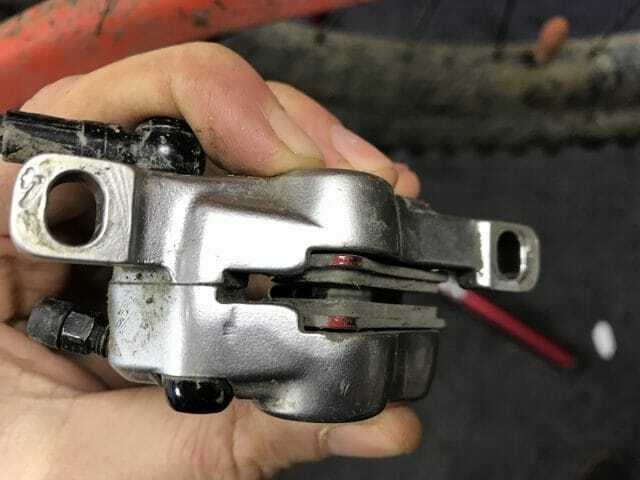 With the bleed plug on the top of the lever body looking very similar to what you’d find on a Shimano brake, I took a punt and had a crack at bleeding the Slates with a Shimano cup tool. Turns out that it works, and made the process super easy, though I will point out that TRP does sell bleed kits for performing more thorough system bleeds. Inside each calliper is a pair of 14mm and 16mm diameter hybrid steel/ceramic pistons. 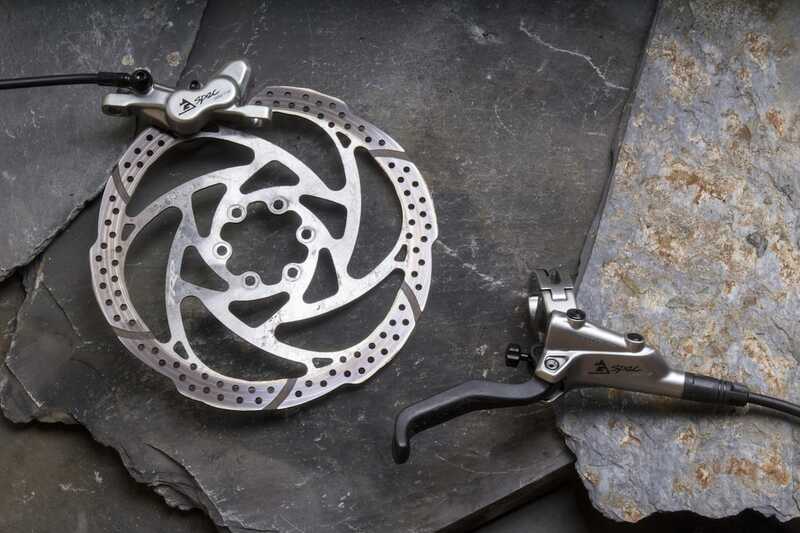 Also shared with Shimano is the pad shape, which is the same as what you’ll find in a Saint/Zee brake. 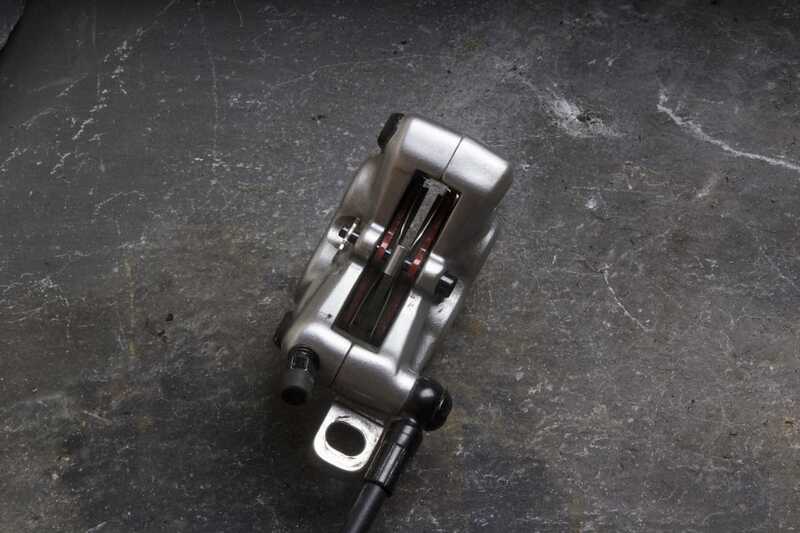 TRP even states that the callipers will take finned pads – a nod to Shimano’s Ice Technologies. The pads are TRP’s own semi-metallic compound though, and they’re top-loading for ease of installation and removal. Each pad is braced by two steel pistons, which feature a ceramic core. Ceramic material is used to better insulate the brake fluid from heat generated by the rotors and pads. But whereas other manufacturers use ceramic-coated pistons, TRP has retained the steel external sliding surface for durability purposes. There’s plenty of pad clearance for relatively easy setup, but we did have an issue with the rear calliper. The callipers are made from two blocks of cast alloy that are bolted together. One half had its rotor slot machined slightly differently to the other half, and that meant on one of the test bikes, the rotor actually contacted part of the calliper body. A couple of small washers was all the calliper needed to lift it off the mount slightly, and we had no issues with it since, but it’s rather sloppy from a manufacturing perspective. The Slate callipers are made from two halves of alloy that are bolted together. One half wasn’t quite machined properly, which caused significant contact with the rotor. The solution was two small spacers underneath the calliper to raise it slightly. Not ideal, but it worked. Early impressions of the TRP G-Spec Slate brake was that it worked fine, but wasn’t as powerful as some of the other brakes on test. It did take a while for the semi-metallic pads to bed in though, and as more pad material transferred onto the TRP rotors, power steadily increased. Likewise, the soft lever feel slowly firmed up as the brakes settled in, and the bite point became firmer and more positive as the test went on. Like a good wine, these were improving with time. The G-Spec Slate brakes lack any bite point adjustment, though I never found this to be a real-world issue. What I did struggle with was the long brake levers, which felt too blunt, and require a lot of finger to wrap around. The extra lever length means there’s more throw for the outer end of the blade, which may be a problem for smaller hands. That said, the heavily pronounced hook does serve to lock your index finger in securely, so you your digits remain firmly put while you’re doing the bump ‘n’ grind down the mountain. The hooked lever locks your finger in well, but the lever blade is quite long and blunt in shape. While they lacked the outright power of some of the bigger brakes on test, the G-Spec Slates do offer up incredible modulation. 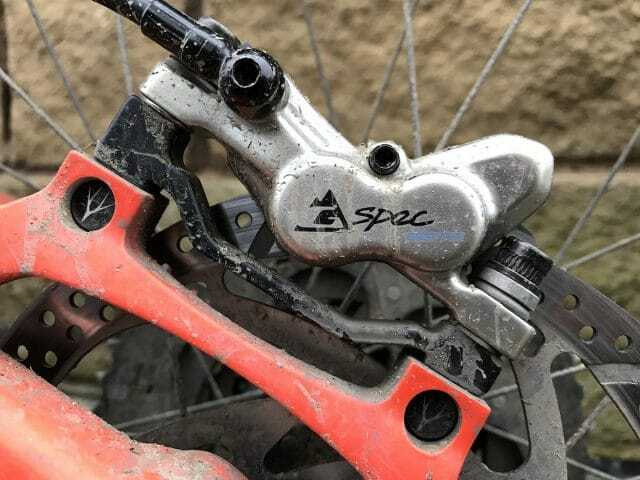 Alongside the FSA Afterburners, Shimano Zees and Hope Tech 3 E4 brakes, the G-Spec Slates provide that soft initial bite that allows you to really feather the brakes during sketchier trail situations where traction is scarce. Out of those aforementioned brakes, I found the G-Spec Slates to be the most intuitive. They’re very predictable, with a generous amount of lever throw covering that sweet spot between gentle speed reduction and uncontrolled skidding. This was particularly noticeable when I was riding the trail networks up at Grizedale and Whinlatter lately in some rather icy conditions. With temperatures hovering around freezing, I encountered numerous patches of surprise-ice that would often be sprung on me after railing around blind corners at speed. Despite the slippery conditions though, the Slates allowed me to brake calmly and with control, and I never locked up the tyre. Well, not accidentally anyway. 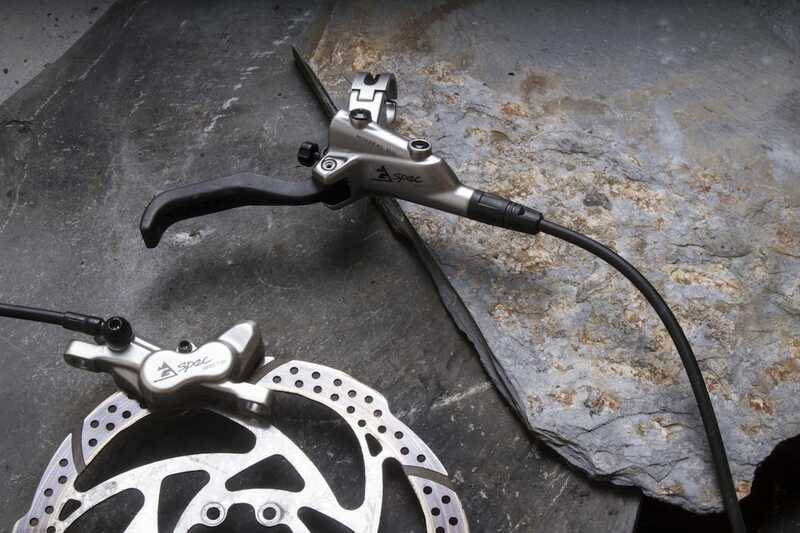 Don’t expect eyeball-popping power out of the Slates – these brakes focus on modulation and feel above all else. While it did firm up over time, the bite point isn’t as rock-solid as the Trickstuff Direttissima or SRAM Guide brakes. And on the shuttle-assisted trails of Antur Stiniog, the Slates did require a more concerted tug on the levers to gain the rapid deceleration that’s occasionally required when you’re suddenly faced with a much bigger drop-off than you’d anticipated, or you discover another rider who’s decided to stop right in the middle of the trail. They certainly don’t grab like other brakes do, and if you like that sensation, you probably won’t dig the softer power delivery of the G-Spec Slates. While I didn’t get the chance to try it, more braking power could be achieved by using larger diameter rotors and sintered brake pads. That said, it would come at the expense of modulation and brake feel, which are currently the G-Spec Slates biggest strengths. Ultimately if brute force is your preference, the Quadiems may be your ticket here. 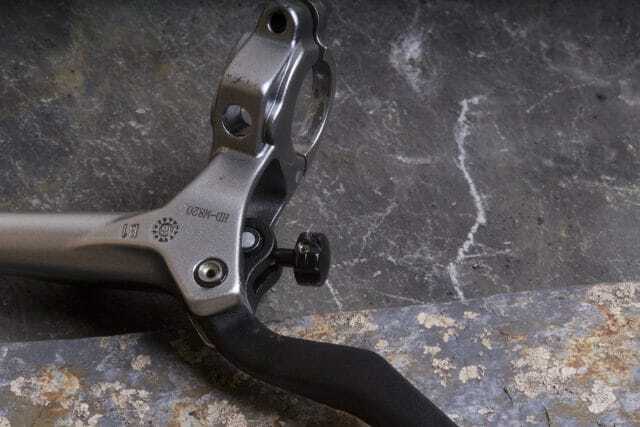 There’s room for improvement on the TRP G-Spec Slate brakes, but they currently offer great value for money and excellent control. In more ways than one, I’d describe the TRP G-Spec Slate brakes as the least attention grabbing on test. They’re not flashy, nor are they expensive, and their performance is free of quirks and annoyances. They just work, and the more I used them, the more I forgot about them – which is the sign of a great brake. Given the reliability and ease of use elsewhere though, the rough finish on the rear calliper was a bit of a letdown, and I would like to see TRP offer a shorter and slimmer lever blade with a lower profile reach adjustment dial. Otherwise these were very close to pipping the Shimano Zees for the ‘Easiest To Live With’ award, though ultimately the Zees had a more refined finish, more stopping power and better pad clearance. But while not as powerful as the ‘punch-you-in-the-face’ performance of some of the chunkier brakes in our disc brake group test, the TRP G-Spec Slate proved to be an excellent performer on the trail. The modulation is incredible, with a smooth and linear power curve that is highly predictable. If TRP could somehow retain the G-Spec Slate’s class-leading modulation while offering a little more ramp-up in power, I could see these going to the next level. As it stands though, these are a reliable and well-priced trail brake for those who value feel over outright stopping power.